Sure, it was one thing to make a successful musical theater production out of Beauty and the Beast, a film in which most of the major characters were human. But reinterpreting the beloved animal characters from one of Disney’s all-time box-office hits? 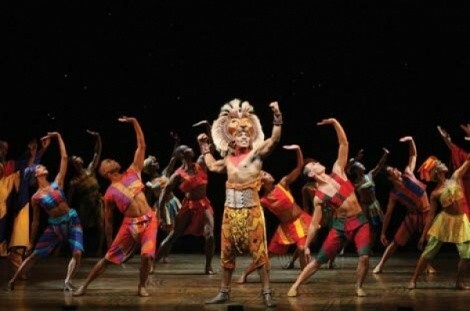 Director Julie Taymor took up the challenge, and in 1997, the result—Disney’s The Lion King—launched one of the 10 longest consecutive runs in Broadway history, and the winner of six Tony Awards. The premise—Hamlet by way of creatures in Africa— was, of course, already familiar to plenty of people, as were most of the Elton John/Tim Rice compositions, including the Oscar-winning hit “Can You Feel the Love Tonight?” New songs came from composers Hans Zimmer, Lebo M, Mark Mancina and others to flesh out the tale, but it’s the spectacle of the production that gave it a unique force on the stage. Experience the touring production’s first Utah stop.